Kudal to Palolem. Life is cruel. We were on the road early again, full of anticipation and excitement: today was Goa day. 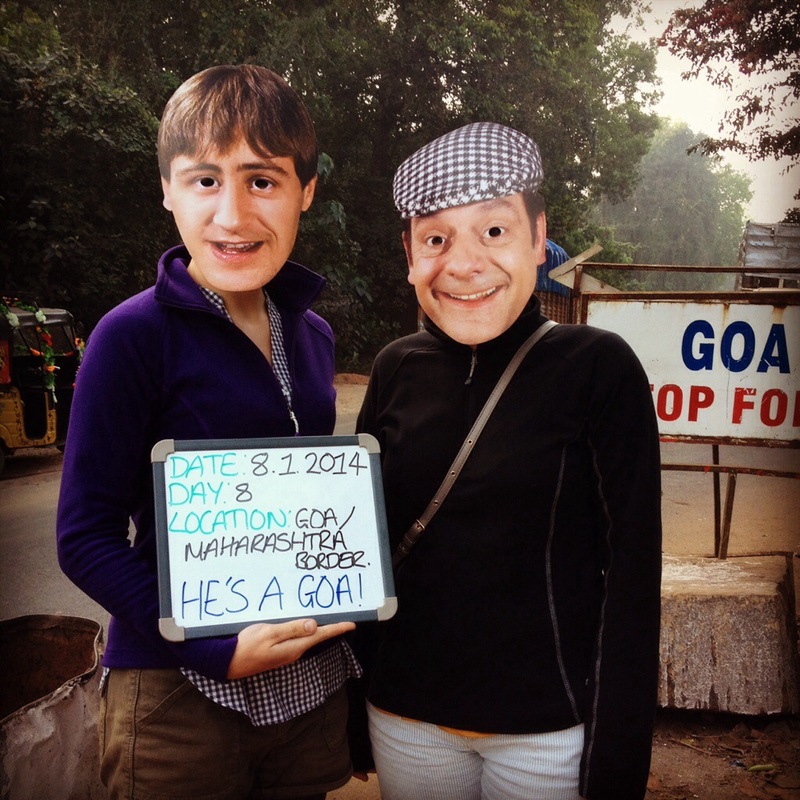 After a lovely morning drive to the Goan border and a smiling welcome from the Goan customs officers, we had arrived. And it was as good as we had expected: lush, green rainforest lined the road; the earth was a dark rust brown; the traffic was quieter and somehow more accommodating; the town centres oozed old world Portuguese charm; there were other ‘white folk’ on mopeds; everything seemed smaller, cosier and more manageable; and there was a strange absence of wandering cows. We were 10km short of Palolem and it was only 13:00. An afternoon on a glorious Goan beach beckoned. POP! Robbie lost all power and slowed to a standstill. Then nothing. Not another peep. A lovely passing Rickshaw Run team helped us to fetch a mechanic from a nearby town. He couldn’t coax any life out of Robbie. One minute he was fine, our reliable old Robster. And the next minute he was gone. Life is cruel. After nearly 3 hours, Claire, who had gone ahead to Palolem arrived with a truck and Robbie was towed into the beach town. A humiliating entry for our fine road warrior. The diagnosis? A rather large hole in his piston. Poor poor Robbie. The prognosis? The mechanic would have him fixed and good to go by 16:00 the following day for the cool cost of around £25. It looked like we would have our day on the beach after all. This came as the second mechanic of the day gazed at Robbie’s inert back end and delivered his carefully considered opinion. 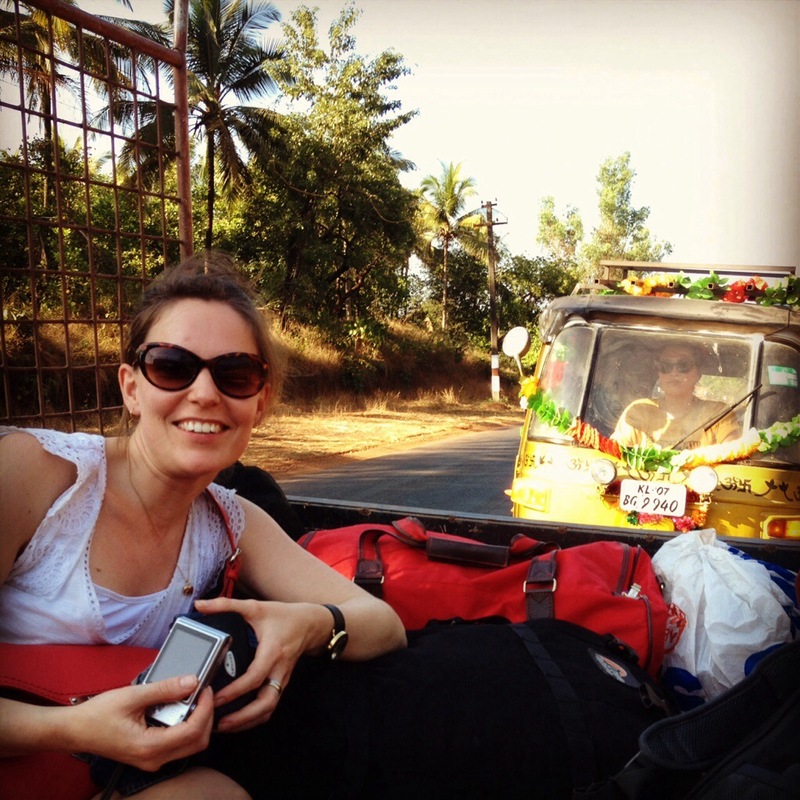 The smallest flatbed truck in India pulled up alongside Robbie, and Claire and the driver emerged from the cab. The driver looked at the three Touring Trotters, now standing anxiously together next to their stranded ‘shaw. He was dressed unnervingly smartly for a mechanic. How to get a rickshaw onto the back of a flatbed truck? He indicated to us that we should lift Robbie. Now he’s only a little rickshaw. But lift him? Onto the back of a truck. Above shoulder height? Us three? You’re having a laugh. He wasn’t. We refused and politely suggested some ramps. We watched as he ambled down the road to find some suitable pieces of wood from the surrounding forest. We looked at each other, incredulous: how had he not thought about this before leaving Palolem? Oh India, how we love you. We burst into giggles. You’ve got to laugh at times like this. In the end we went for the simpler towing option. With the shortest piece of tow rope imaginable. Poor Robbie. In the hands of this amateur, his future wasn’t looking very bright at all. Superbe picture of you Erica!!!! !